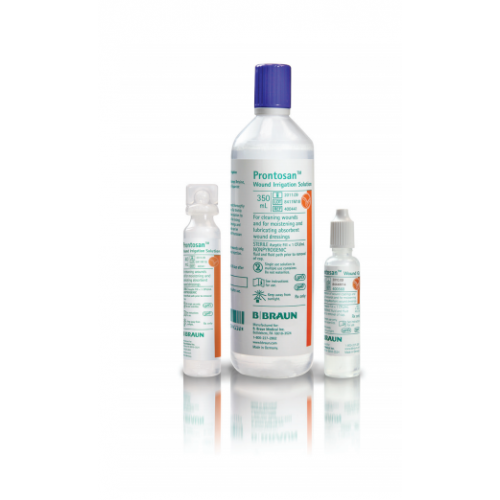 The Prontosan Wound Irrigation Solution aids in thorough wound cleansing to remove dirt and debris found in acute, chronic, colonized wounds, ulcers, abrasions and burns. Faster healing begins with a clean wound environment. 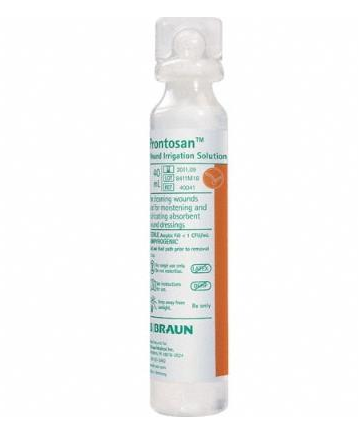 Prontosan accomplishes this with two important ingredients, Polyhexanide (PHMB) and Betaine. PHMB is a preservative found in contact lens solution with the purpose of inhibiting the growth of microorganisms. Betaine is a cleanser and creates a coating for fast debridement of foreign material. It also reduces necrotic burden and controls wound exudate. 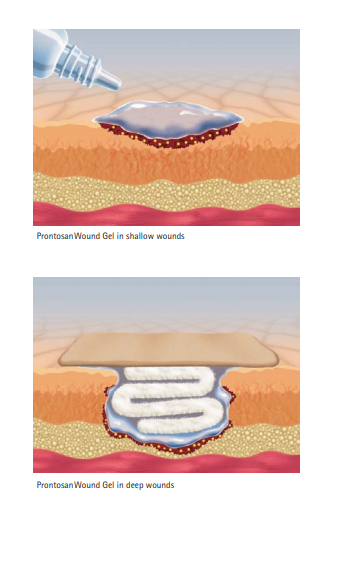 To obtain maximum benefits of Prontosan, completely saturate gauze with the irrigation solution and place on the wound and let it soak for a minimum of 10 minutes. After removal of gauze, squeeze more solution directly onto the wound. There are two sizes available. Choose from Prontosan 40 mL ampule solution for single-use along with the Prontosan 350 mL Irrigation Solution. When caring for flat wounds apply Prontosan Wound Gel which cleans and coats the surface wound to control wound exudate for faster healing. Once bottle is opened, the solution has a shelf life of 28 days. 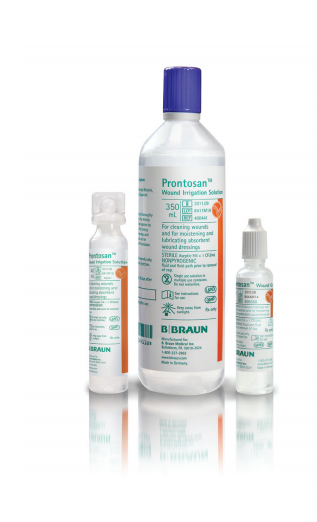 Combining Prontosan with other wound cleanings soaps and ointments may lower its efficacy. Do not ingest, infuse or inject.